This wide-ranging 10-week course will see you developing in-demand skills and a foundation of relevant knowledge to help you score your dream role in digital marketing. You’ll study modern marketing strategies and concepts, discover how to measure and optimise marketing campaigns to reach your target audience, and learn to navigate the platforms used by professional digital marketers. 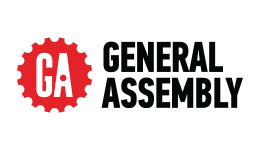 Upon successful completion of this course you will receive a Digital Marketing Immersive qualification from General Assembly.